All the finances are managed from a central point. This eliminates duplication, inefficiencies and facilitates strict control as per the requirements of the board, PFMA and GAAP. 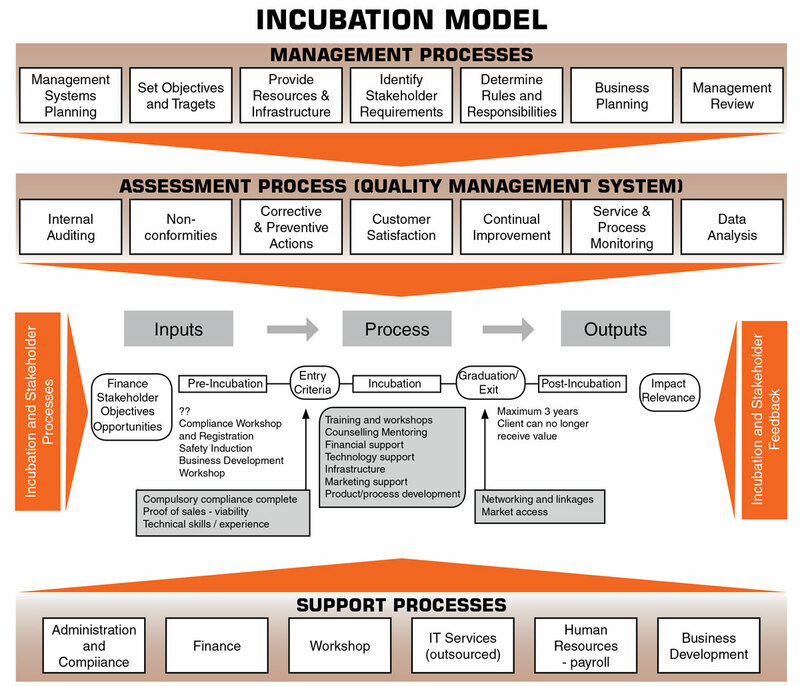 Incubation support is in the form of policy formulation, guidelines in the application of the policies marketing and recruitment, quality assurance and general management. This also includes liaison on a national level to address common concerns and specific staff development issues. Technical support is aimed at providing a one stop service to ensure that the workshop facilities and equipment are maintained as per the manufacturer’s specifications. This includes management of the utilisation of the facilities and assets audit. Marketing support is aimed at assisting incubatees with gaining market access in the industry and this is done through strategic relationships with relevant stakeholders around Richards Bay and surrounding areas. This includes marketing material, compliance of incubatees and marketing strategies amongst others.